Behind the customers’ choice of FUJISOFT is its continuously advancing superiority in technologies and deep customer insight. FUJISOFT Group is a team of 10,000 engineers. Their high technical capabilities and satisfying proposals based on their expertise are at the heart of the Group’s services. The Group is making constant efforts to serve customers as their best partners. FUJISOFT offers technical capabilities in a wide range of activities ranging from development of embedded software for communication infrastructure, social infrastructure and machinery control systems to operation software and network business solutions. FUJISOFT’s advantage in proposals is continuously being boosted by the synergy of the very unique FUJISOFT Group and its ever-expanding global network. FUJISOFT’s core competence lies in its superiority in technologies and satisfying proposals. FUJISOFT’s leading-edge business systems solutions Optimal solutions that help businesses win in this era of global competition. FUJISOFT consistently explores the best solutions for customers in the distribution, finance, services, manufacturing, networking, social infrastructure, education, medical, public, and other sectors in an attempt to answer all of their needs, and offers total solutions covering consulting, development, systems construction and support. For a wide variety of mission-critical systems for production, sales, inventory management and others, FUJISOFT offers all-inclusive support covering introduction of different packages and ERP software, individual systems integration, consulting and integration services and data center operations. FUJISOFT offers IaaS and SaaS services with private cloud infrastructure centered in its own data centers. In partnership with the four major cloud services, AWS, Google, Salesforce and Microsoft, FUJISOFT provides comprehensive cloud services. FUJISOFT also offers comprehensive support ranging from integration to operation services for Microsoft as well as other information systems solutions. FUJISOFT is a one-stop provider of solutions for online services tailored to customers operating different types of businesses. FUJISOFT’s e-commerce site construction earns especially high marks from customers for superiority in proposals and technologies. FUJISOFT offers a full range of packages including those that help increase the purchase ratio as well as optimal solutions. FUJISOFT offers a broad array of solutions including accounting systems, information business systems and infrastructure for banks, securities companies, insurance companies, credit card issuers and other financial institutions. FUJISOFT provides diverse solutions that integrate cloud services with tablets for efficiency enhancement and sophisticated state-of-the-art technologies. FUJISOFT offers a full range of packages and optimal solutions for the distribution sector including those for store systems, point-of-sales systems, merchandising systems, order fulfillment systems, e-commerce systems and accounting systems. FUJISOFT offers an extensive spectrum of packages and optimal solutions for the manufacturing sector, including solutions for production, sales management, distribution and accounting systems, chemical data collection solutions (to comply with the REACH Directive) and HEMS, BEMS and other energy management systems. FUJISOFT offers many different solutions that help increase operational efficiency such as sales promotion assistance with mobile terminals, TV program log data and the production of manuals for manufacturers. With FUJISOFT the future is here, now, with embedded and control technologies that enable manufacturing companies to move ahead in the field of global competition. FUJISOFT’s cutting-edge technologies are incorporated into many home appliances that form the core of today’s ubiquitous information world, including mobile phones, which have effectively achieved full market penetration. With a proven development track record in many different sectors, FUJISOFT will offer powerful support based on its advanced technologies. FUJISOFT offers the latest embedded and control technologies which add value to manufacturing. FUJISOFT offers a full range of the latest embedded and control technologies for mobile devices including communication control for 4G/LTE-ready data communication terminals and smartphones, development of Android apps, protocol development and assessment, multimedia broadcasting and Felica smartcard support. FUJISOFT offers the leading-edge technologies in ITS systems including navigation, HMI and ECU, information systems such as security control and pre-crash sensing, powertrain systems, communication systems including a new protocol, device control and measuring tools, and systems like remote services, DIAG control and communication drivers. FUJISOFT offers the latest technologies that support society, such as those for wireless base stations for mobile phones, network communication equipment, control technologies for VoIP phones, faxes, communication and infrastructure, as well as the development and assessment of base stations and control technologies concerning railways, aviation, space, defense and even plants. FUJISOFT offers the latest applicable technologies which include programmable logic controllers (PLCs) for machinery control, human machine interfaces (HMIs) serving as display and control terminals, programming of controller devices and development of operation and maintenance tools. FUJISOFT offers cutting-edge technologies including embedded and control technologies, recognition technologies, application development and external device control technologies in the area of domestic multi-function copiers and printers, which are highly recognized worldwide. On the basis of its unique cross-platform structure in pursuit of the potential of mobile television, FUJISOFT has added support for ISDB-Tmm server-based broadcasting for one- and full-segment real-time broadcasting in order to provide multiple usability. FUJISOFT offers a number of control technologies that provide an enhancement of entertainment. FUJISOFT has extensive development experience covering a wide range of fields including robots, automobiles and medical equipment and expertise to accommodate LS circuit boards to suit a variety of embedded systems. Where customers have the greatest need, FUJISOFT offers the latest technologies. FUJISOFT offers the latest technologies to address the challenges of developing cutting-edge medical equipment such as biometrics systems, image processing in advanced diagnostic systems for CT or MRI, blood testing equipment, catheterization equipment, electrocardiographs and endoscopes. Products and services created from FUJISOFT's technology and accumulated know-how are playing active roles in a variety of situations. FUJISOFT contributes to the development of society by providing products with high added value, such as advanced software and hardware, smartphones and tablets, the latest robot technology, smart houses, digital home appliances, and data centers. PALRO is playing an active role as a reliable partner in the facilities, and conducts recreations and gymnastics with elderly people. The little robot maintains and improves the daily-life functions of elderly people by encouraging them to be active voluntarily through conversations every day. PALRO raises the motivation of elderly people to participate in society, and supports them so that they can live independent lives of their own filled with smiles. Media Box, to connect to a TV set or projector in a classroom. It can project various learning materials instantly through the use of a remote controller. No need to print large-sized posters, or bring a PC into the classroom and connect it up. This is a solution using ICT that supports a better educational environment, allowing teachers to interact more with children face-to-face by reducing the burden of preparation for lessons. Using moreNOTE significantly improves not only the efficiency of preparing meeting materials, but also the convenience for the meeting's participants. We have achieved remote meetings and the revitalization of meeting discussions by making use of the synchronization function during meetings, enabling directors and managers who attend a lot of meetings to access meeting materials quickly. In various industrial fields, this system is being widely applied as a tool for raising operational efficiency and changing the work style. FUJISOFT's unique products play active roles in your daily lives. FUJISOFT's products and technology are playing active roles in your workplaces and in your daily lives. In order to make your lives richer and more convenient, we keep on providing the latest technology and services, for medical fields, factory production lines, OA equipment in offices, computers and smartphones that you commonly use in daily life. FUJISOFT Group produces synergy between its various companies (consolidated subsidiaries), including those specializing in the development of operation software for distribution companies and in the creation of communication infrastructure software. FUJISOFT’s international strategy is to serve as a partner that supports global customers. This is FUJISOFT’s basic function. FUJISOFT offers comprehensive support including software development for control and operation software, maintenance, operation, offshoring and shared services encompassing personnel, technologies and facility services to globally operating customers including not only overseas companies, but Japanese companies with bases overseas. One example is offshoring with a focus on quality and security in consideration of the drawbacks of conventional offshoring services. 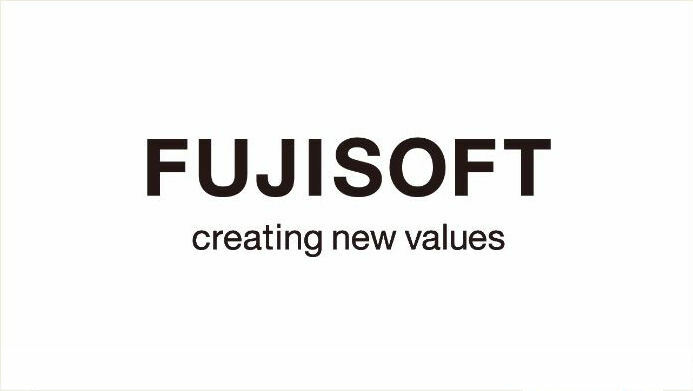 FUJISOFT delivers Japanese quality in software services to overseas customers. In response to the needs of globalization amid the global expansion of the development structure and overseas market operations, FUJISOFT has been expanding its network all over the world. Offering its original technologies and products that meet ICT needs in high-growth markets in Asia, North America, South America, Europe and elsewhere, FUJISOFT will continue to broaden its reach in the world market.